Happy Monday friends! I hope everyone had a wonderful weekend! It's strawberry season here in Florida and I had a major craving over the weekend. When I was younger I spent every summer in Bar Harbor, Maine with my grandparents who had a farm and some of my earliest memories are of strawberry picking with my grandfather. When I found out we had local pick-your-own farms here in Orlando I knew I had to go check it out. 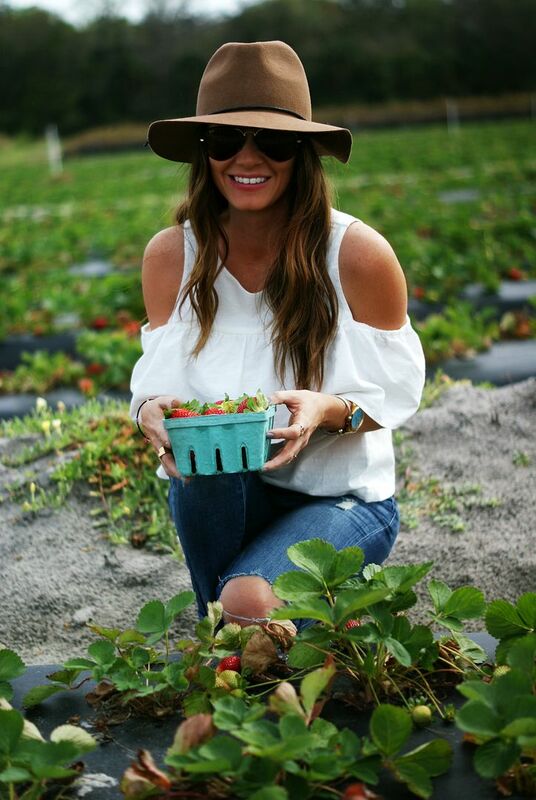 U-Pick farms are a fun, free thing to do around Orlando and if you love berries, there's no better place to find the freshest and best! Why spend time in the grocery store trying to find the best container when you can pick your own? Saturday morning we headed out to Pappy's Patch U-Pick Strawberries in Oviedo to see what we could find. It was surprisingly busy for 10 am but the field is large enough where there were plenty of places that you could pick without running into other people and there were definitely plenty of strawberries to go around. You have the option of picking a 10 lb box or you can choose smaller containers that hold about 1 1/2 lbs each. We filled up 3 of the smaller containers with gorgeous, delicious strawberries in under 20 minutes, and I have plenty to make strawberry shortcake with! It was definitely a great way to spend a Saturday morning and you can't beat free entertainment! It definitely made me miss my grandparents but I loved getting to relive those memories of when I used to go picking with them and making new memories. So if you're looking for free things to do in Orlando I'd definitely recommend stopping at one of our U-Pick farms! I really miss going to Upick farms in calfornia. We lived right next to one off the beach and it was so fun to go to. We definitely don't have that in Texas! Hope you have a great week! How stinking cute do you look!!!! I hope you had so much fun because this looks like an absolute blast! how fun! i still haven't done it here and i totally need to. i love that top too! so stinking cute :) hope you have a good monday! Could you be any cuter?? You look adorable friend! Love that top! Those strawberries look so good!! I miss being in areas where you could easily find such fresh produce!! Love that top on you, too! U-pick farms are the best! It's way more fun to do that rather than just pick something up at the grocery store. We haven't been to one in awhile but we do have a family farm that we get to go pick some veggies from in the summer. Happy Monday! Love picking! This is such a fun thing to do and it's so quick and easy! I swear anything hand picked tastes 58394038 times better than store bought! Love your cute top! It's perfect for a fun day out. I haven't been strawberry picking in years, so fun!! This looks like so much fun! Obsessed with your top! How fun is this! 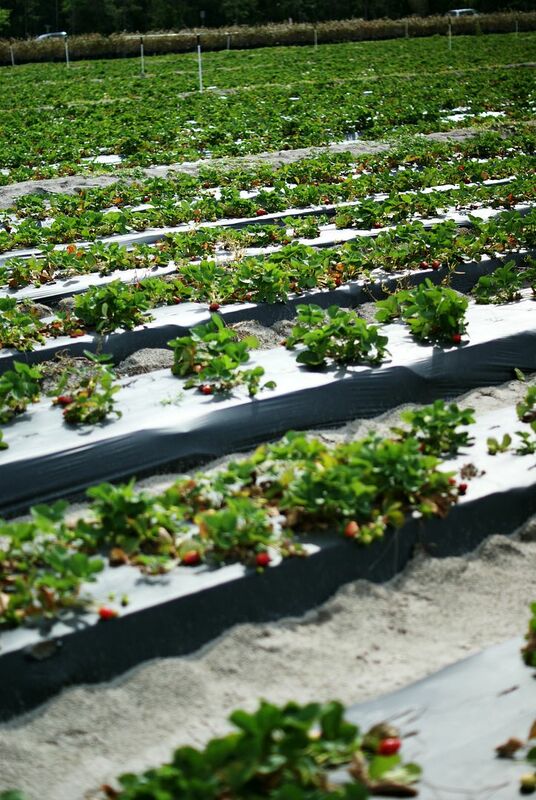 I would love to go strawberry pickin! And you look SO cute girl...love your outfit! Well, this sure looks fun! And, how adorable are you? I just love these pictures. How cute are you and how cute is that top?! Love this. 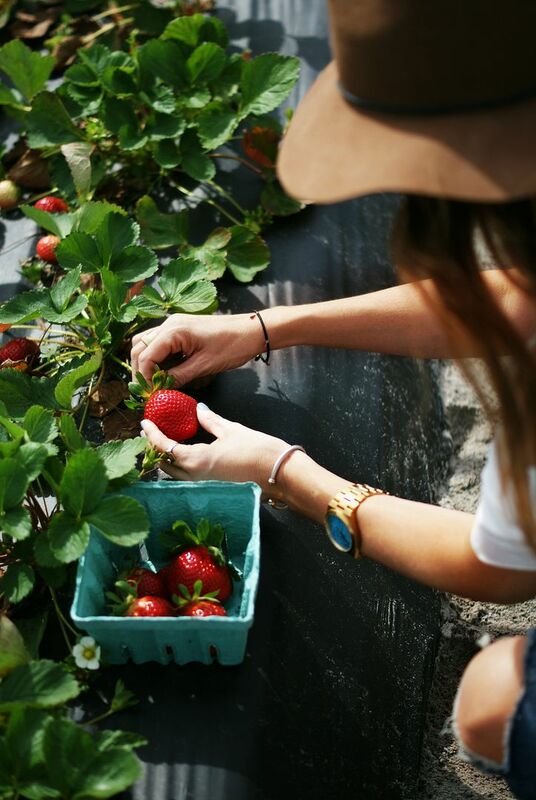 Picking strawberries sounds like the perfect weekend activity! 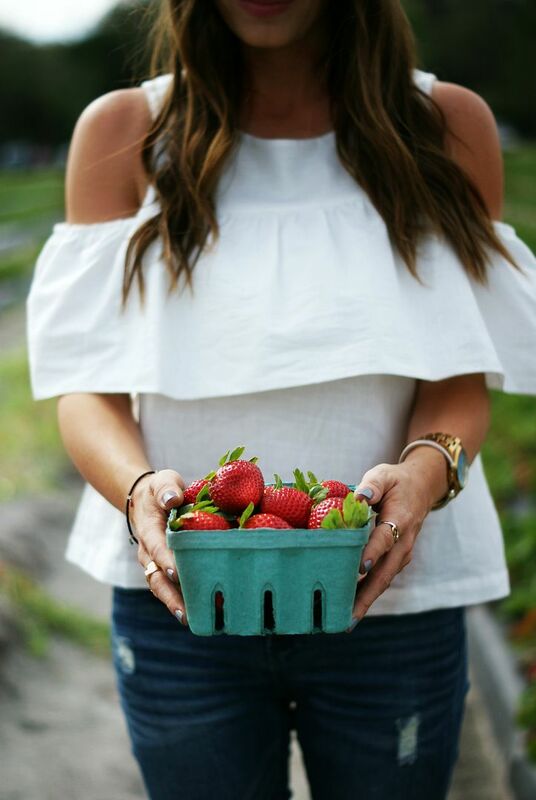 Your outfit is so cute by the way, and I can only imagine how many strawberries you'll be eating over the next week! U-Pick farms are the best! Unfortunately, we have to wait until summer in Michigan to partake, but I'm hoping to make it happen this year! Stawberry picking is the best. You look super cute. Love your top. How fun! A strawberry shortcake sounds delicious! Also, your top is so cute! So jealous that you can already to this!! Love this top - fabulous look! How do you look so cute picking strawberries?! You look like a model! Hope you've had a great Monday! Adore this outfit and the back of that top! So so pretty and the strawberries look super pretty too! lol I've never been to a strawberry farm so that needs to change asap. I haven't done 'this in yearssss- looks so fun and I love your outfit! Have a great week! 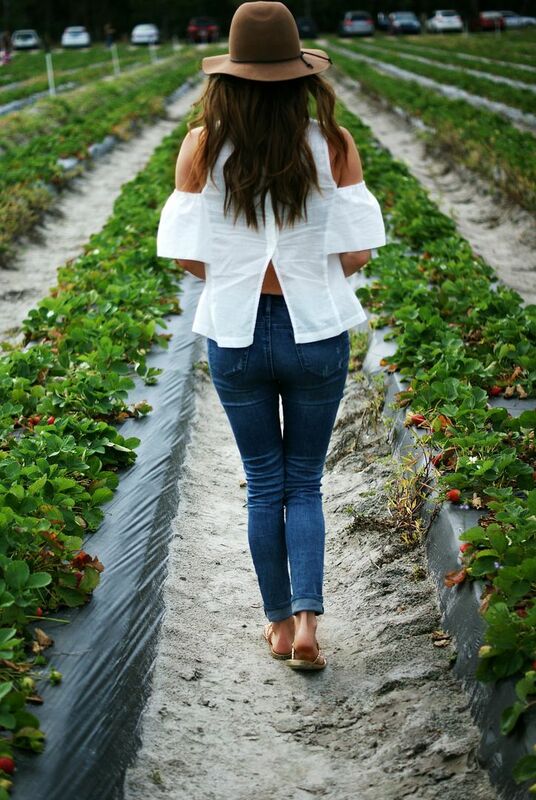 Strawberry picking is totally a childhood memory of mine! I love it so much! Your outfit is perfect for the occasion and that top is beautiful on you! I haven't done that in ages!! You have on the cutest dang outfit for it, too. 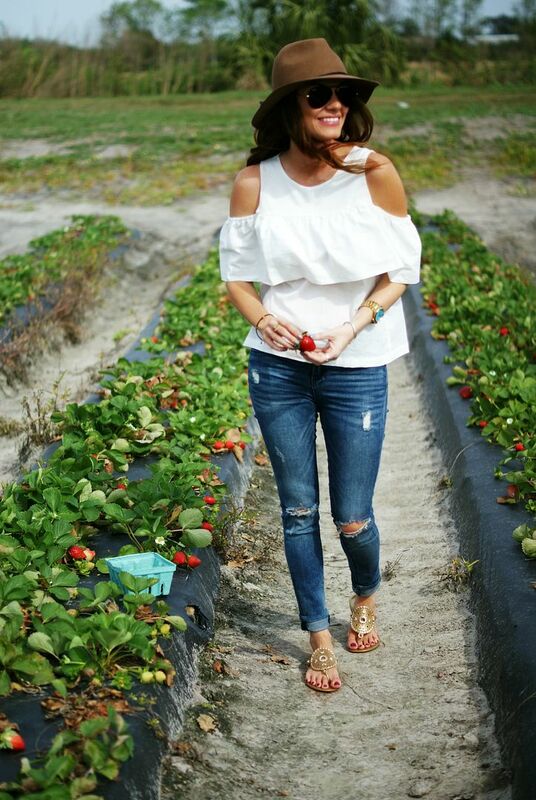 This post definitely makes me want to go strawberry picking this summer! Love all the photos and your top is perfect! I keep wanting to go do this in Charleston! I'd definitely make a fresh strawberry pie or tart with all those goodies! These photos are too adorable and so is this top! Such a perfect summery look! I LOVE strawberry picking! I can't believe it's already strawberry season in Florida!! I remember I used to have to wait until June in Rhode Island, but I bet it'll be only another month or so until it hits SC. The berries you picked look delicious, and they're huge for u pick! You got so many great pictures! 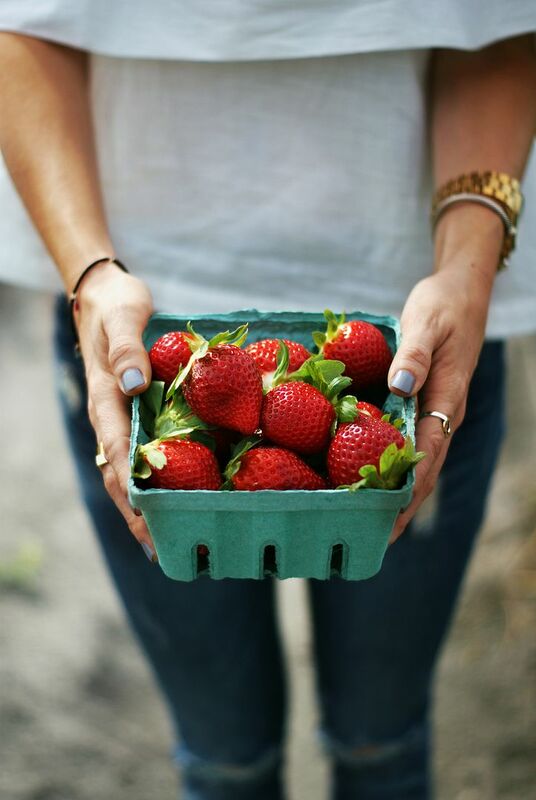 I love strawberries, but we rarely buy them-- even in the summer because they never seem very fresh from the store, so being able to pick them would be so awesome! those strawberries look extra delicious!